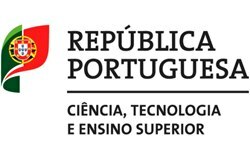 The Laboratory of Environmental Biogeochemistry of the University of Évora is a laboratory with skills and know-how in the geochemical study of all types of geological materials, including water, aquatic sediments, rocks, soils, slag and ores. Among the elements analysed are nutrients (P, C, S, O, H), major and trace elements (including platinum, rare earth elements, arsenic, mercury). Currently the laboratory is able to analyse most of the chemical elements of the periodic table, through ICP-OES, elemental analyser and molecular absorption spectrometry. A large set of elements are analysed in various mineral and organic forms, from soluble forms to the ones retained in crystalline structures; the laboratory has extensive experience in methodologies for sequential extraction of metals, metalloids, alkaline elements and nutrients. 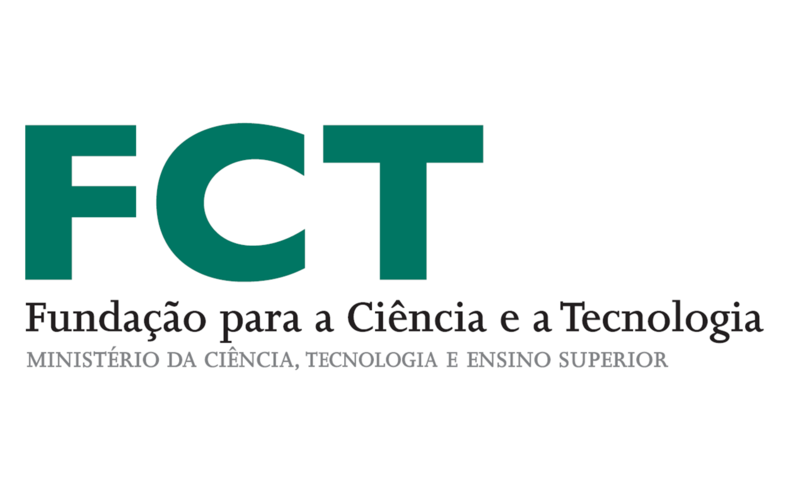 Most laboratory-based analytical techniques have been learned in recognized European laboratories, including: Land Use Research Institute (Aberdeen, Scotland), Imperial College (London, England), University of Bilbao, AZTI and Tecnalia (San Sebastian, Spain) and Cenpes Laboratory of Petrobras (Rio de Janeiro, Brazil). The laboratory has experience and competence in the study of the monitoring of contaminated environments (especially by mining industry), degraded environments by erosion and in the proposal of remediation strategies, using various technologies, namely nanotechnologies. 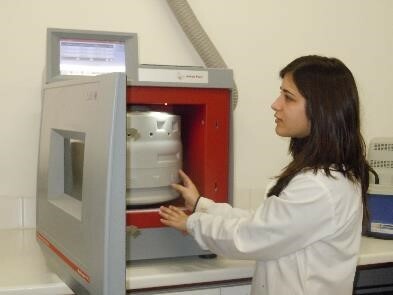 With more than 20 years of experience, this laboratory has also been dedicated to the study of aquatic sediments, lakes and fluvial environments, and has developed numerous analytical techniques. 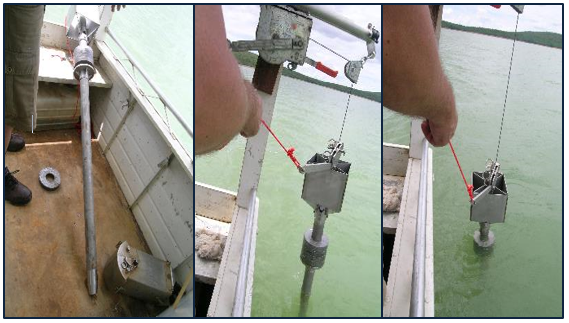 It is adequately equipped with aquatic sediments sampling equipment, including piston corer and dredges (fig.1), and bathymetric surveys facilities, such as a side-scan sonar. 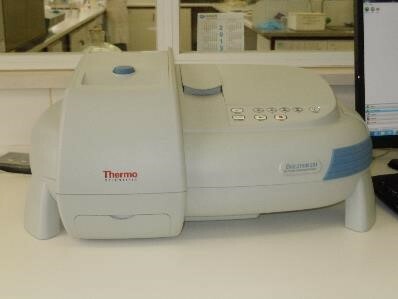 The laboratories facilities include, a simultaneous Inductively Coupled Plasma spectrometer (ICP-OES) equipped with ultrasonic nebulizer, hydride generation system and argon humidifier (fig.2), an elemental analyser CHNS/O (fig.3), a molecular absorption spectrophotometer (fig.4), a high-pressure microwave digestion system (fig.5), a refrigerated centrifuge, a portable X-Ray fluorescence, in addition to various equipment for grinding, digesting and melting of geological samples. 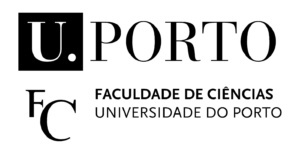 With experience also in the study of marine sediments, the analyses already implemented for freshwater sediments, were adapted to sediments of estuarine and coastal environments, being one of the laboratories in Portugal which support the Working Group on Marine Sediments with respect to pollution (WGMS) from the International Council for the Exploration of the Sea (ICES).